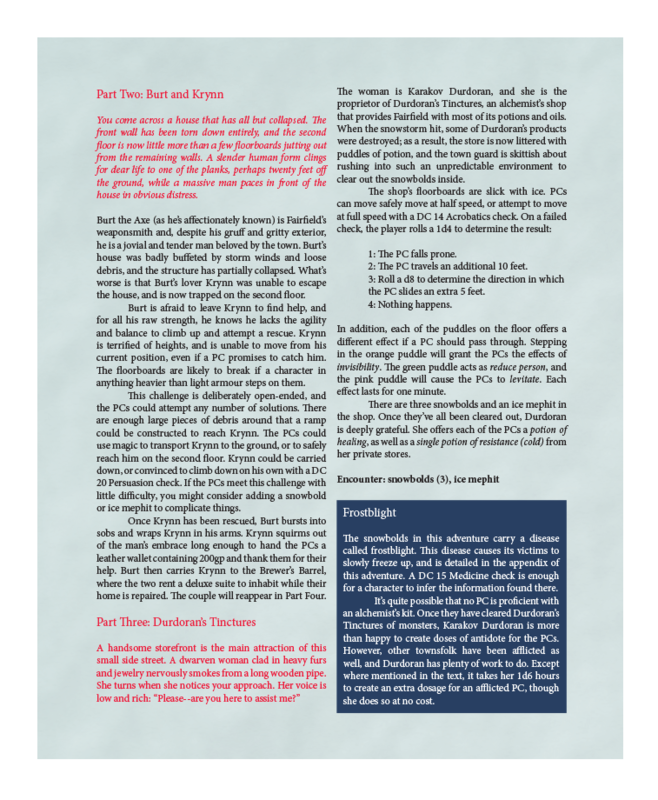 The Crooked Tower is a 5e adventure for 2nd-level heroes. The adventure includes two new monsters, a new disease, and multiple full-colour encounter maps. 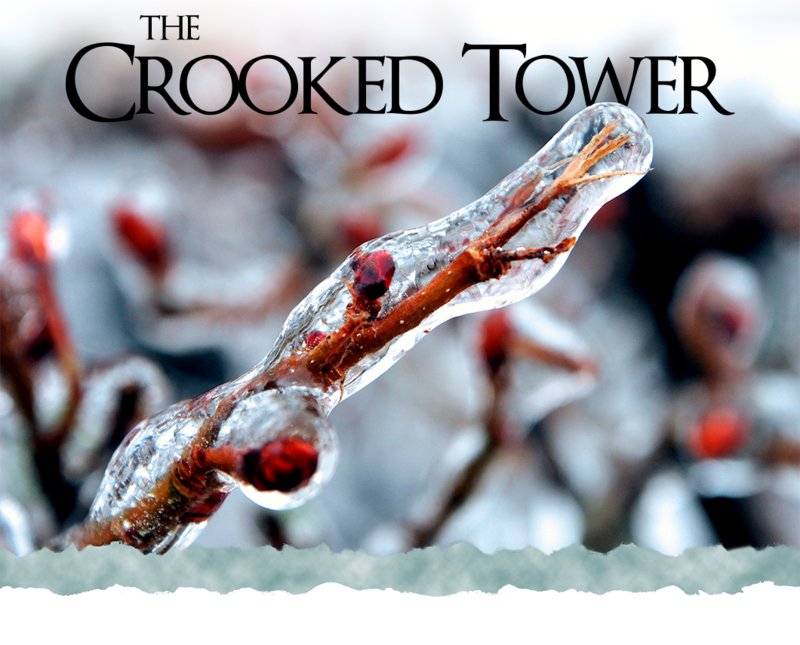 Will your players uncover the mystery behind the snowstorm and climb the heights of the Crooked Tower? Or will fear cause them to freeze up? 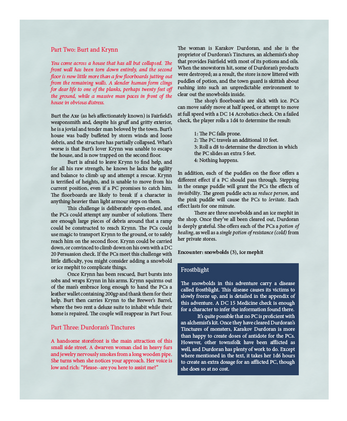 The default download includes the full adventure in full-colour, hi-res PDF form, as well as a "lite" PDF that is less ink-intensive for printing. 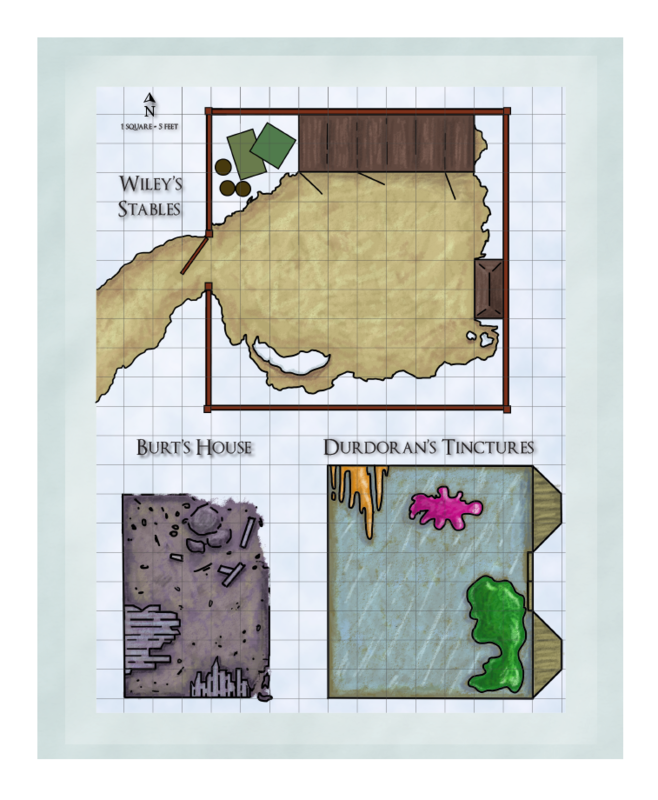 A tip of $1 or more nets you two bonus files: unmarked, gridless maps for use with systems like roll20, and a .WAV audio file of the riddle found in the adventure, as a thank you for supporting this project. The audio file was created by multimedia artist and apprentice DM Jillian Wakarchuk.